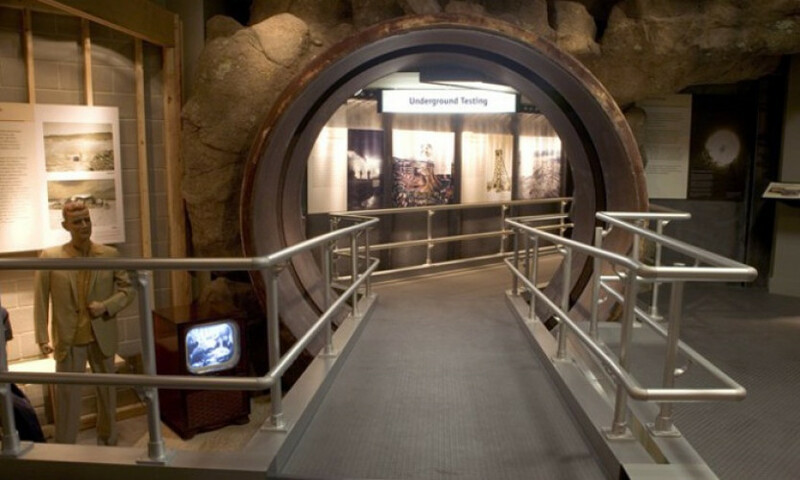 The 8,000-square-foot National Atomic Testing Museum, located just off the Strip, unveils the fascinating history of the famed Nevada test site. An affiliate of the Smithsonian Institution, the museum has a growing collection of permanent and special exhibitions. Boots quake as visitors experience a simulated atomic blast, and another exhibit details the Manhattan Project, the U.S.'s massive undertaking to create the first atomic bomb. Firsthand accounts of nuclear tests put museum-goers in the shoes of blast eyewitnesses; there's also a poignant exhibit that includes a 6-foot I-beam from the wreckage of the World Trade Center. The museum volunteer tour guides act as exhibit interpreters, encouraging hands-on exploration and teaching how to divide atoms using nothing more than a good set of kitchen cutlery.